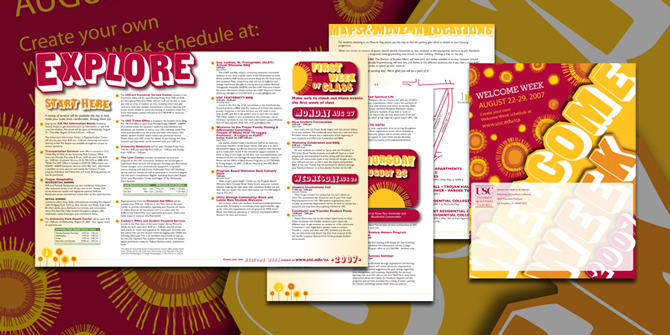 Multi-page document for USC Department of Student Affairs. This 2007 Welcome Week brochure was handed out to all incoming freshmen. The booklet needed to grab students interest, and communicate hundreds of events in a clear and concise manner. 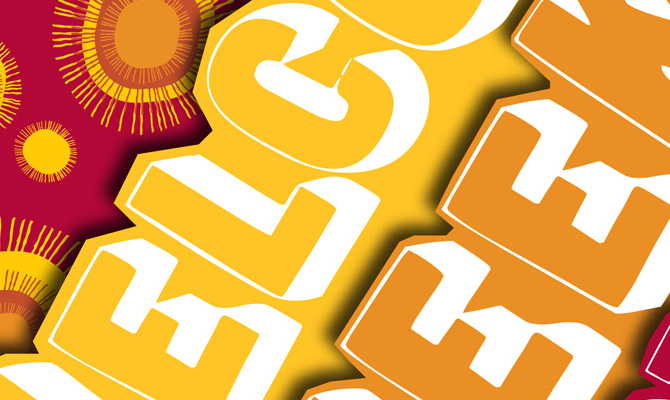 The project also provided the design challenge of creating a new way to use the cardinal and gold color scheme that saturates all USC marketing.